Posted April 13, 2016, 12:32 p.m. This was a really interesting into the world of board game designs. I had no idea how different designing board games is from designing video games. As a board game designer, you basically pitch a game to a publisher. If they buy your game, they totally change the theme, art, and even the rules. They tweak it based on play testing, and handle all manufacturing and distribution. This was kind of a shocker to me. Once the game is a finished product, it seems like very little work was done by the designer relative to the publisher. In the indie video game scene, you. do. literally. everything. Maybe you can find an artist, but all the play testing, marketing, and distribution is on you. So weird. The book is a compilation of essays, so there were a few other topics that stood out to me. 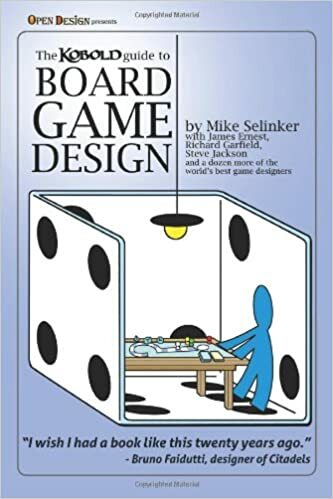 One was about intuitive design, which basically took The Design of Everyday Things - the Bible for any designer - and adapted it specifically to board games, saying that players should be able to figure out generally how the game is played with no instructions. Making this happen requires the rules to be simple to start with, with strong (but not excessive) iconography, and color coding that doesn't conflict with that. That made me adjust a few controls in ScreenPlay to make things more intuitive. 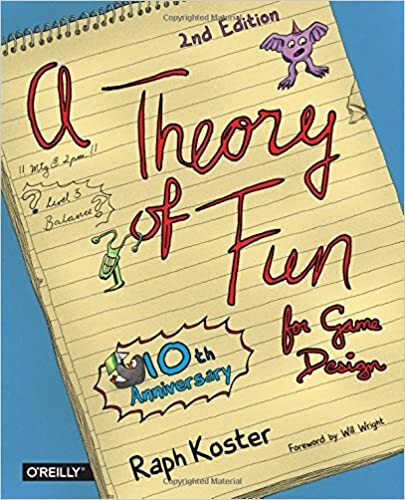 This book also introduced me to the idea that a game is not its rules, which is a common idiom in the board game world, but not so much in video games. A game is not its rules is basically stating that you can't plan for every circumstance, so don't try. Including 1,000 caveats in your game's rules is overwhelming to the player for physical games, though totally invisible in video games. With video games, you squash every bug you can and plan for every eventuality, so this idiom might be better applied to the users' experience - the rules and code are a framework in which play happens. You might motivate certain behaviors with your rules and code, but ultimately the game's experience is up to the player. Takeaway: Give players breathing room to play, rather than just comply. 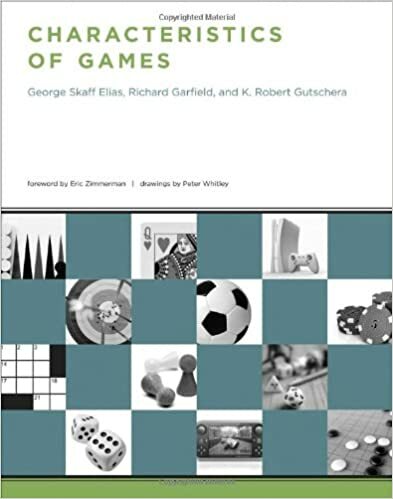 The main thing I got out of this book is that games are all about teaching skills, and that classical games all teach really basic skills - combat, farming, hunting. I found it inspiring that modern games have so many other things to teach - interpersonal skills, restraint, conservation, and anything else having to do with higher-order function. Why are spells and equipment ultimately reduced to keys? Is there a way around that? Maybe if games gave a little more breathing room to enjoy the intrinsic fun of the progression items, they wouldn't be just keys anymore. If Super Metroid had big open obstacle courses where you could just use your super jump to have fun, that would be awesome! Then again, the absence of goals or rewards for running around might make it so nobody would actually engage with those areas. Tying every activity to progression and getting another missile upgrade seems like a problem to me - why aren't more activities in games just for fun? Let's take the obstacle course example again. If I give you a missile upgrade for completing it under a certain time, you may feel "forced" to do it if you're trying to complete everything, which isn't great. Maybe instead of making players do something they might not find fun for another incremental upgrade, acknowledging the players' accomplishments with metrics would be good enough. Now instead of giving you a missile upgrade, I just show you your best time for running this obstacle course and make clear that no upgrades will be given related to it. Now you're free to do that if you find it fun, or skip it if you're just wanting upgrades. If you really find it fun though, you might compete with your friends for the fastest time. Filling a game with these kinds of diversions might let people explore and have fun with the game more than they'd have by making a bee line to the finish. Sure, they lack purpose, but sub-games like these can improve the players' mastery of the game system just like games do for real-life skills. Takeaway: Teach new and relevant skills with your games that might not be covered in more traditional ones. Teach throughout, but don't be afraid of sub-games that let players enjoy their mastery. Players are always looking for what the state of the game is, and what they should do next. With video games the game state can be really involved but an effort should be made to be more like board games, where the state is simple enough to be shown on a table. "Heuristics" for what a player should do have to be simple for beginners, but more complex ones should be available for experts. This means your game system should have a broad and obvious outline as well as minutia to provide depth for player understanding. Games for 3 or more players tend to be based on 1-player games where people "race" independently, or 2-player games where people duke it out. Games with a little luck will still reward skilled players for investing their time to learn the game, but won't make a big of a gulf between them and beginners. This makes the number of people who are reasonable opponents much larger than for chess or go. Video game players don't like downtime when others are taking their turns mainly because they aren't physically present to give social queues about whether or not they're actually doing anything. Part of doing all of this reading to improve the games I'm making for jams and long-term projects. I want to make games that are exciting to watch, intuitive to play, and teach you something useful. It's harder than it sounds! While the 3 books I've mentioned above are about games in a general sense, the next book I'm reading is about video games specifically. It's called Rules of Play: Game Design Fundamentals, and man, it's pretty thick! Looking forward to diving in! The next couple of weekends are gonna be bananas. This weekend is Ludum Dare 35, and the following weekend (April 23rd) is a game jam about corporate training! So assuming we're able to finish them both, I'll have 2 more games to post soon! Get hype. That corporate training jam is offering prize money for the winner(s), and the opportunity for companies to negotiate contracts with amazing teams such as ours! Did I mention I'm looking into freelance work now? I'm looking into freelance work now. Papa needs a new pair of shoes, so we'll see how it goes.